Are you looking for some zero carb cocktails? Here’s everything you need to know! Although you shouldn’t go mad on alcohol when following a low carb diet, there are occasions when you might like to celebrate with a cocktail. Now there are many exceptions to this rule, but looking at these three components really helps identify how we can make zero carb cocktails. Let’s look at the alcohol first. 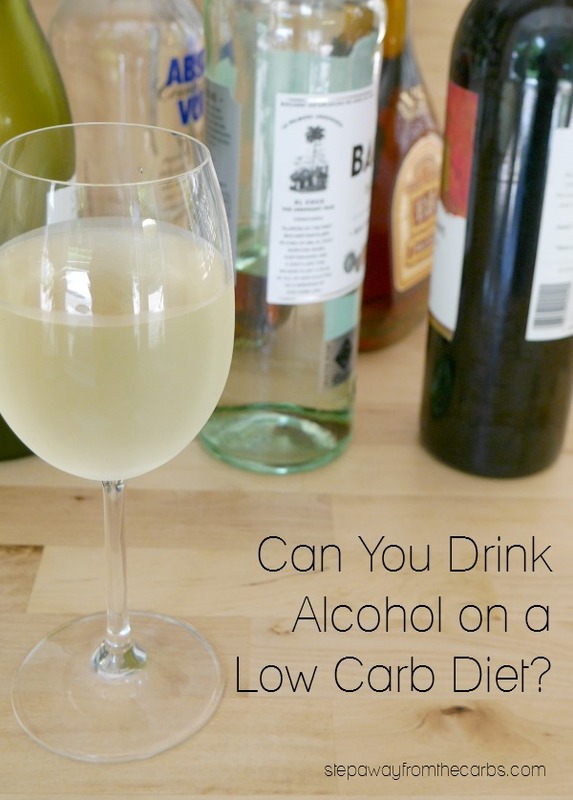 In my post “Can You Drink Alcohol On A Low Carb Diet?” I discuss the pros and cons of alcohol, and look at the carb count for different types. Next, let’s look at zero carb mixers. What you include on this list will probably depend on whether you drink diet soda, but even if you don’t there are many options. They key is to avoid anything with sugar, and that includes fruit juice. And finally to sweeteners. Always a controversial subject with low-carbers! But ZERO carb sweeteners? Well, there aren’t so many to choose from – and the key is to look for liquid options. Sugar free syrup: I like the Da Vinci brand and usually always have at least the flavor-free, vanilla, and chocolate versions in stock. Walden Farms also makes zero carb syrups which are a little thicker than Da Vinci – I particularly like the strawberry flavor! Liquid Splenda – only recently available – I haven’t even tried this yet! So there are the main three components. 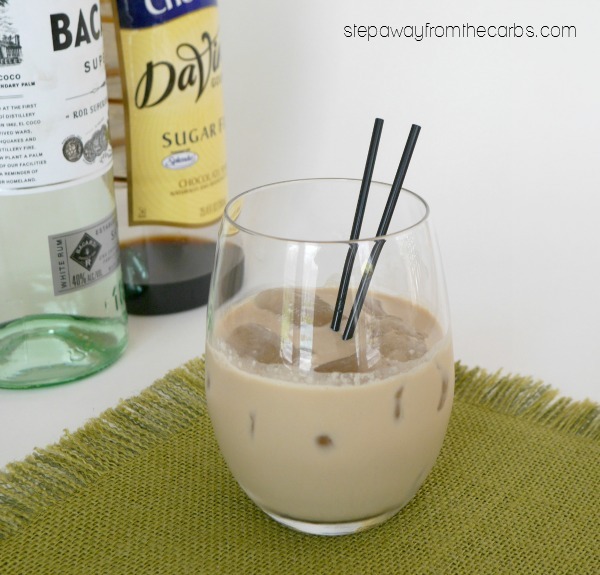 There are, of course, some basic cocktails that just use the first two ingredients: gin and diet tonic, rum and diet coke, whiskey and soda, and so on. It’s important not to forget about these popular combinations! Note: Don’t be fooled into thinking that alcohol-only cocktails like martinis are zero carb – Vermouth contains 3.5g net carbs per ounce. It’s not a lot, but it isn’t ZERO. That margarita sounds good, right? The ingredients are lime, salt, tequila, Da Vinci sweetening syrup and orange extract. 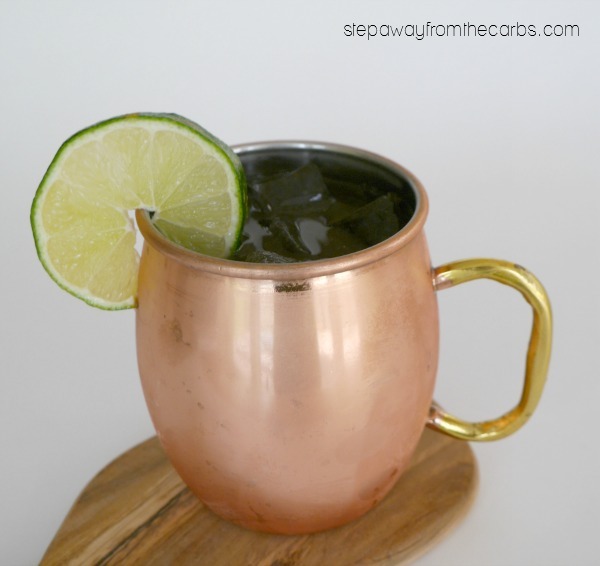 And how about a Moscow Mule: traditionally it contains vodka, ginger beer and lime, but switch out the ginger beer for diet ginger ale, and you have yourself a zero carb Moscow mule! Well, the lime contains a TEENY amount of carbs – but hardly worth counting! You could also try the ginger beer flavor of Zevia instead of the ginger ale – available at Netrition! Remember that Walden Farms strawberry syrup I mentioned? Here’s a quick and easy cocktail for you: equal parts syrup and vodka (about 2 tbs each per drink), shake together with ice, pour into a glass, then top up with seltzer water. Doesn’t that look REFRESHING?!? I’m going to call it zero carb strawberry cooler. 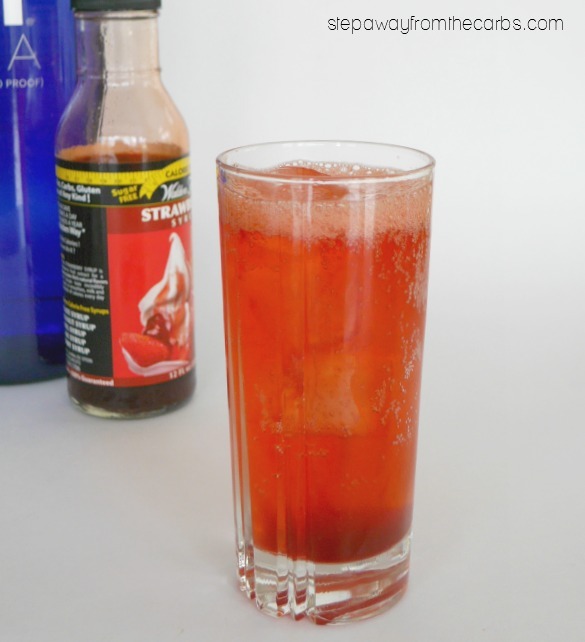 The syrup is available in different flavors, too, so you could get very creative with your cocktails! And finally, how about a chocolate creamy cocktail? In my recipe for Low Carb Chocolate Peppermint Cocktail, the carb count is 5.4g net. But when I looked again, the carbs were due to a fancy decorated rim that I had added. With that removed (although it DOES look good! ), the carb count is just 0.4g net. So here’s my new revised version of a Zero Carb Chocolate Cream Cocktail: 2 tbs rum (or vodka, if you prefer), 1 tbs heavy cream, 2 tbs Da Vinci sugar free chocolate syrup. Shake them in a cocktail shaker and serve over ice. 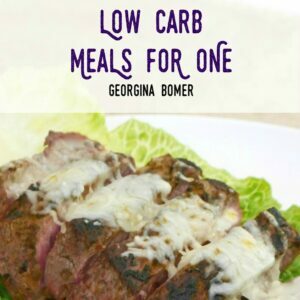 Do you have any zero carb cocktails that you want to share? Leave a comment below! 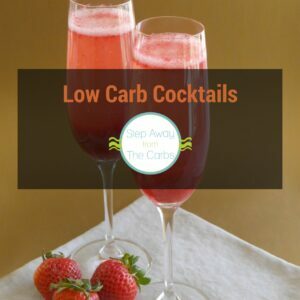 You can find all my low carb cocktail recipes HERE – or check out how to host a low carb cocktail party! Mix together and pour over ice.